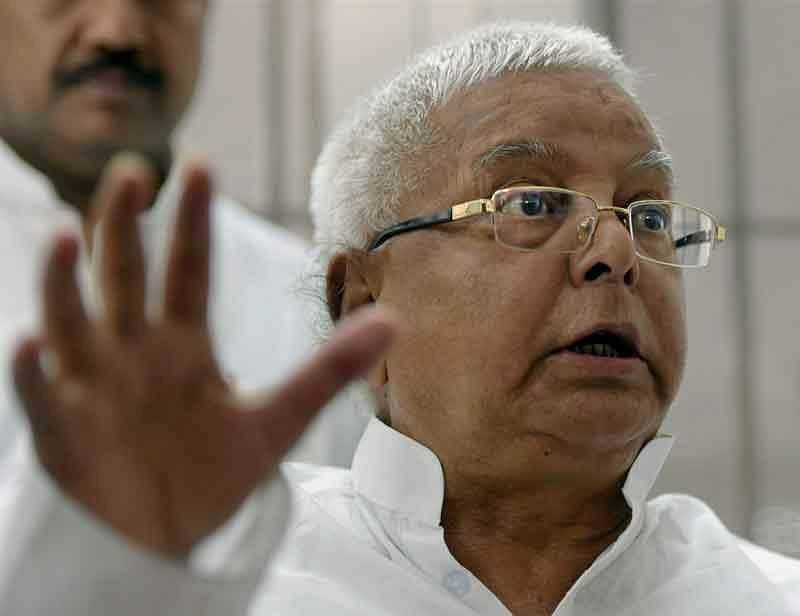 Patna, Nov 5: RJD chief Lalu Prasad today demanded a probe into an alleged toilet construction scam in the state, claiming that a "proper" investigation would find the quantum of the fraud to be hundreds of crores of rupees. The Patna district administration had on Thursday uncovered misappropriation of funds to the tune of around Rs 13.50 crore, meant for construction of toilets in the state. Government money to construct toilets in 2016 was allegedly transferred by Public Health and Engineering Department's then executive engineer to four NGOs and some individuals, when the construction work was handed to the Rural Development Department, officials said. "In which circumstances, the work of construction of toilet was handed over to NGOs, whereas it has to be done by the government? The quantum of the scam could be in hundreds of crores if a proper probe is done in all the districts of the state," Prasad told reporters here. Mocking Chief Minister Nitish Kumar's claim of "zero tolerance" towards corruption, he said, "More than a dozen scams have occurred in his current tenure that included mega scam Srijan, toilet construction scam, Mahadalit scam, scholarship scam, toppers scam." Prasad said whenever any scam surfaces, Kumar talks of setting up a high-level probe committee with his "so-called resolve to punish the guilty at any cost", and also questioned the CM's continuance in power. In reply to a query on whether the BJP was cornering Kumar, Prasad said the state government will not last long. "My fight will be with the RSS and the BJP in future," he said. To another question, he said that the RJD would observe November 8 as "black day" to protest demonetisation and GST. He also announced the appointment of Shankar Charan Tripathi as the national spokesman of the party. Tripathi, who had been in the air force, was the former Uttar Pradesh Additional Commissioner of Commercial Taxes.